You’ve just found your new Yorkshire web design agency! Peacock Carter York are a highly experienced website design and development agency servicing Yorkshire and the city of York. From simple content managed websites you can change yourself to fully fledged ecommerce websites and even mobile websites, we can help your business succeed online. Our previous clients include the University of Edinburgh and the Scottish Government. From our headquarters in Newcastle upon Tyne, we design, build, support and manage websites of all sizes and sectors to help create smarter, more profitable websites. We’re a specialist ecommerce website agency, too, allowing you to use our years of experience in helping clients sell successfully online. Why this Yorkshire web design agency? Good question! 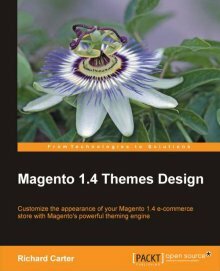 We’ve written books on website design (Magento 1.4 Themes Design being just one! ), reviewed other technical books for web design publishers (such as Inkscape 0.48 Essentials for Web Designers) and spoken at web design conferences (find out more about Peacock Carter York). Previous clients include Badminton England and Directgov to name just a few! We provide a range of digital services from website consultancy and website development for software such as Magento and Magento Enterprise, as well as the WordPress blogging platform to creative services such as logo design. Simply put, we blend technical knowledge with creative prowess. You can see a small sample of our previous work in our portfolio. If you would like to arrange a meeting to discuss your web development or web design project, please do contact us. If you'd like to work with Peacock Carter Yorkshire on your next consultancy project, please contact us, or use the form below.